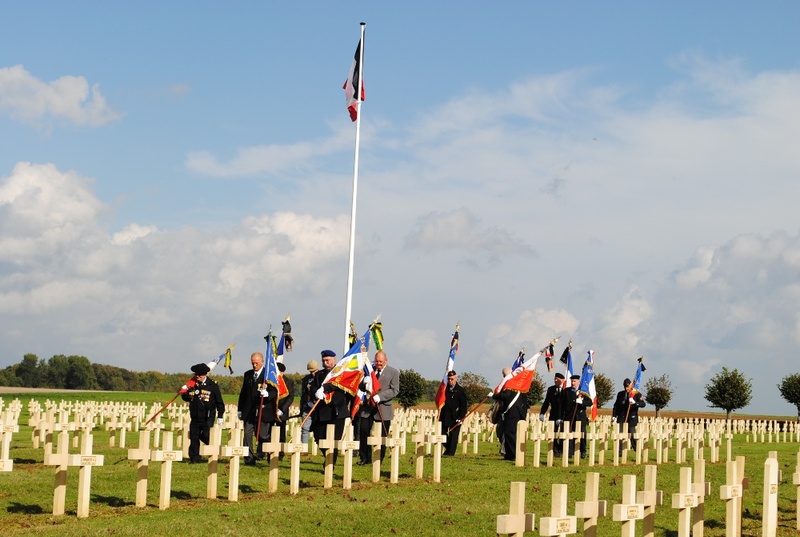 The funeral of Appolinaire Joachim Marie Ruelland, the second of the two French soldiers discovered during last November’s excavations at the Glory Hole, took place on Thursday 9th October in the French necropole at Tracy-le-Mont some 90 kilometres south of La Boisselle. 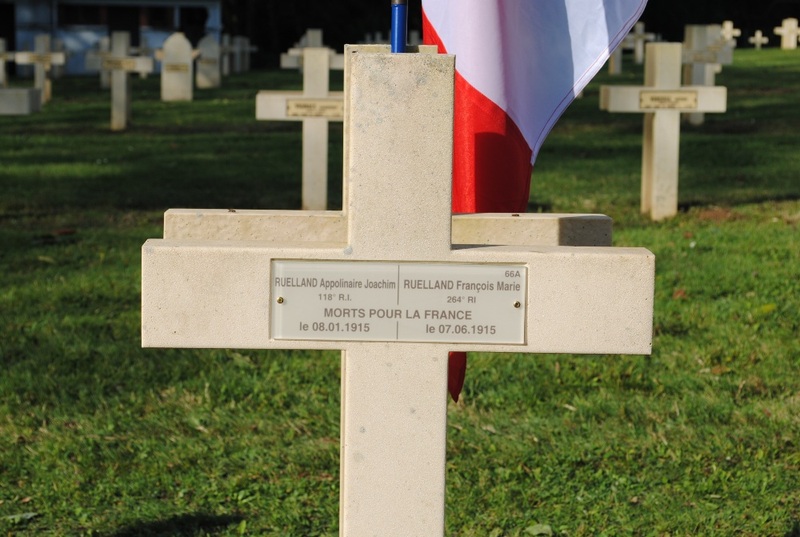 The reason this location was chosen by the family is because it is the resting place of Appolinaire’s brother Francois who was killed in action nearby on 7th June 1916. 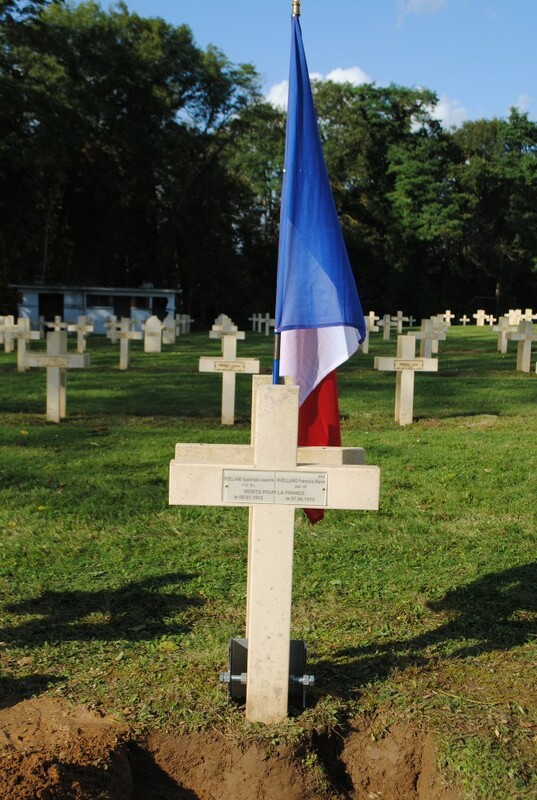 Appolinaire and Francois are now reunited. On a beautiful autumn day the LBSG was represented by Peter Barton, Anna Gow, Brian Powell and Cameron Ross. Seven members of the Ruelland family had made the journey from Brittany. 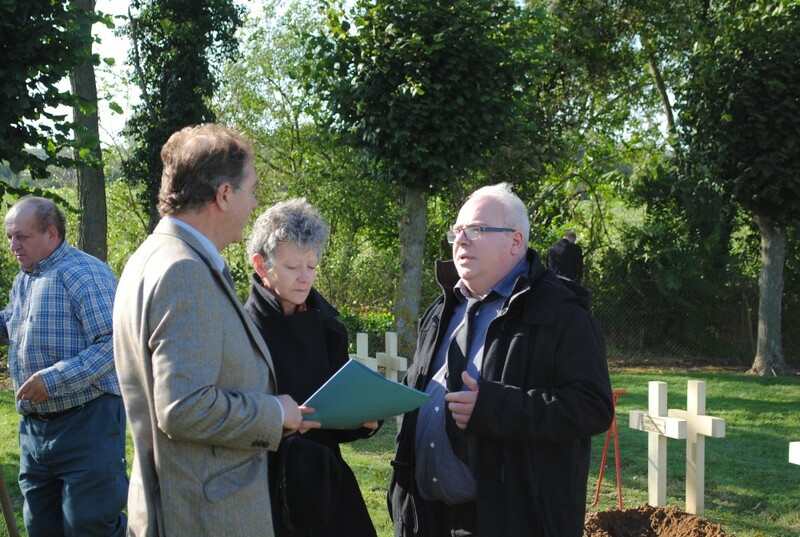 They were presented with a dossier containing documents, plans and photographs outlining the events of 8 January 1915 that led to the deaths of Appolinaire Ruelland and Louis Le Heurt. 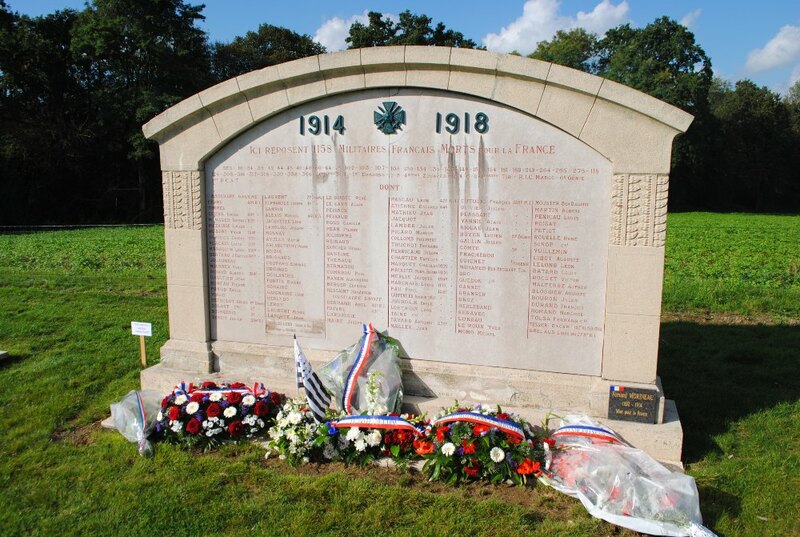 There were present many members of the Ancien Combattants, French military personnel, officials from ONAC, Prefets and Mayors. 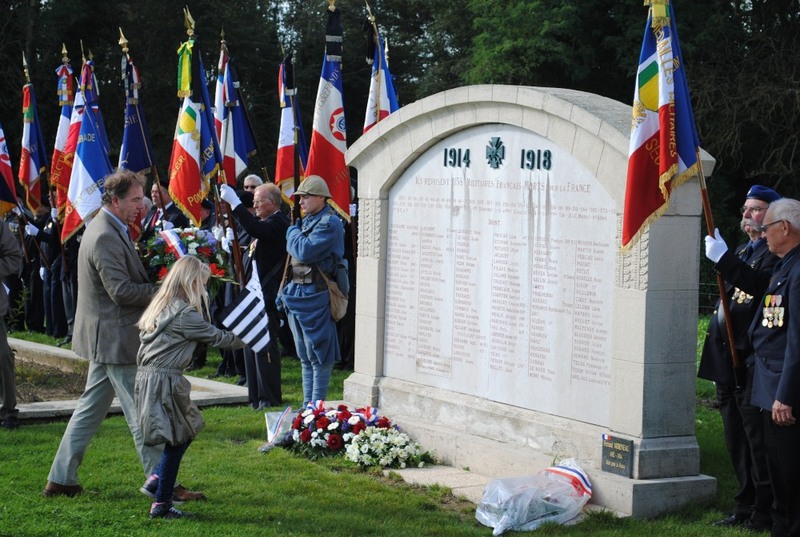 The event was colourful and celebratory, the speeches of several officials being especially complimentary about the quality of the LBSG’s work in the recovery of the remains of several French soldiers at La Boisselle. 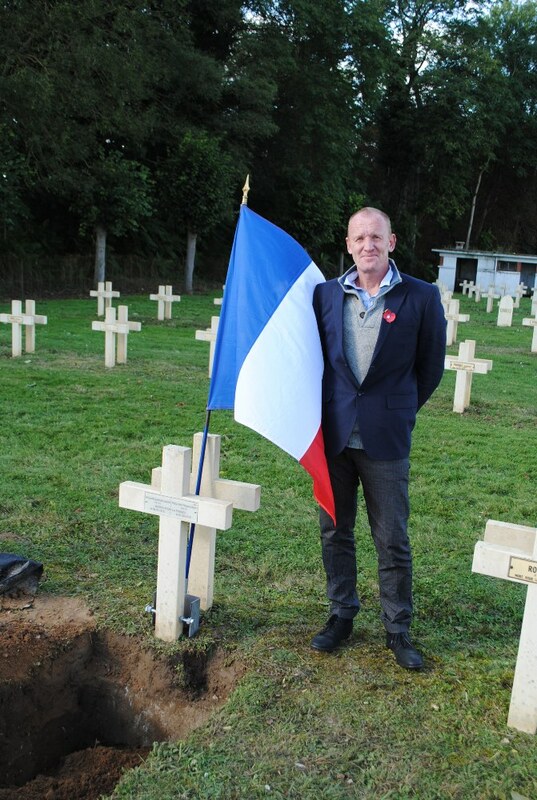 Peter Barton laid a floral tribute and planted a Breton flag.